Wuhan, the sprawling capital of Central China's Hubei province, is a commercial center divided by the Yangtze and Han rivers. The city contains many lakes and parks, including expansive, picturesque East Lake. Nearby, the Hubei Provincial Museum displays relics from the Warring States period, including the Marquis Yi of Zeng's coffin and bronze musical bells from his 5th-century B.C. tomb. The Hanyang district's Guiyuan Buddhist Temple, founded in the 17th century, features a hall displaying 500 gilded lohan (enlightened disciple) figures. Jianghan Road is a bustling, pedestrian-only shopping strip. The Hankou Bund, an avenue along the Yangtze River, is lined with buildings from the late-19th and early-20th centuries when the area was home to 5 foreign concessions. 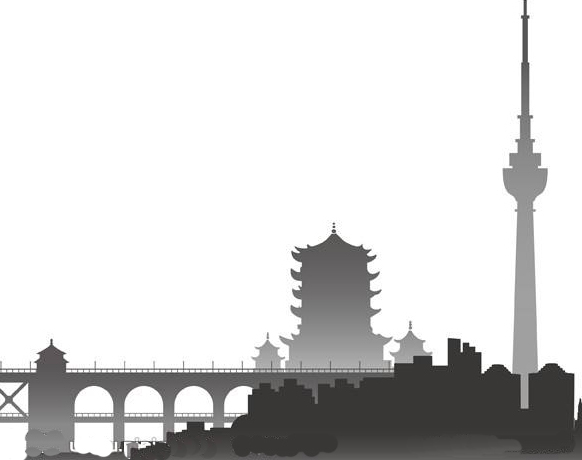 On a high hill across the river, the 5-tiered Yellow Crane Tower is a reconstruction of a venerable local landmark. 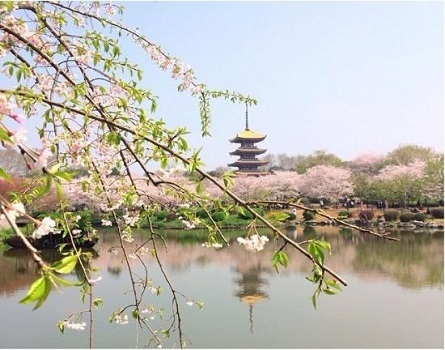 Wuhan University's campus and East Lake's Mo Hill are popular attractions when their cherry trees blossom in the spring. 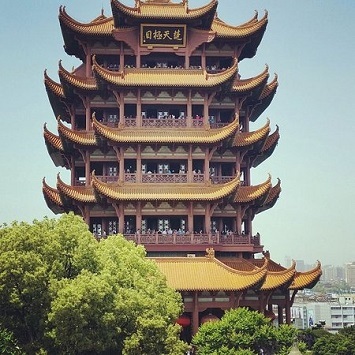 Yellow Crane Tower is a traditional Chinese tower located in Yellow Crane Tower Subdistrict, Wuchang District, Wuhan, Hubei, China. The current structure was built in 1981, but the tower has existed in various forms since not later than AD 223. The current Yellow Crane Tower is 51.4 m (169 ft) high and covers an area of 3,219 m2 (34,650 sq ft). It situated on Snake Hill, one kilometer away from the original site, on the banks of the Yangtze River in Wuchang District. East Lake is a large freshwater lake within the city limits of Wuhan, China, the largest or the second largest urban lake in China. Wuhan's East Lake covers an area of 88 square kilometers (33 square kilometers of water area). It is one of the 5A tourist zones of China, and admits over a million people yearly. It is one of the largest sites in Huazhong District. It is also the largest "City Lake" in China. 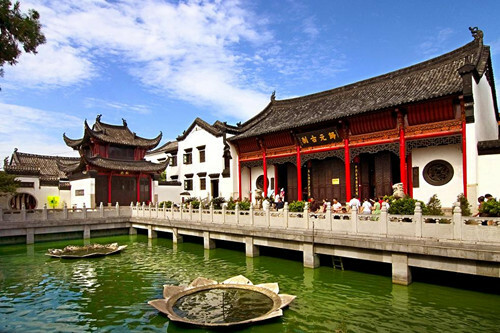 East Lake is made of four areas, Ting Tao, Moshan, Luo Yan Island and Museum of Hubei Province. An afternoon at this revered 350-year-old Buddhist temple can fluctuate between serenity and chaos, depending on the tour buses. Pass a large rectangular pond where turtles cling like shipwrecked sailors to two metal lotus flowers and examine the magnificently burnished cabinet housing Milefo in the first hall. Also seek out the more than 500 statues of enlightened disciples in the Hall of Arhats. Completed in 1890, after nine years in the making, they remain in pristine condition. 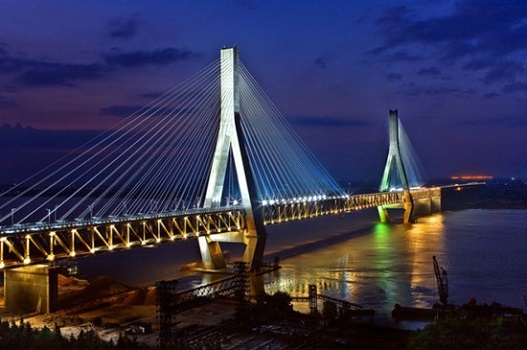 The Wuhan Yangtze Great Bridge, is a double-deck road and rail bridge across the Yangtze River in Wuhan, in Central China. At its completion in 1957, the bridge was the easternmost crossing of the Yangtze, and was often referred to as the "First Bridge of the Yangtze".